A set to last a lifetime. 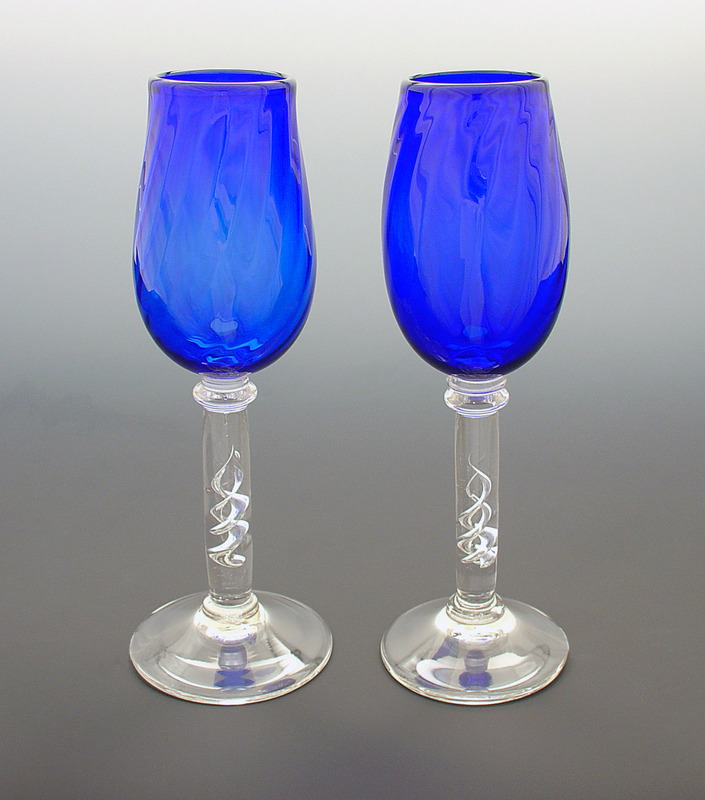 Smooth clean lines and deep rich color, trademarks of Gemstone Glass, are evident in these refined modern, yet traditional Cobalt blown glass goblets. Great for your favorite wine or other beverage (holds 10 oz) or as stand alone treasures for the collector. The bowls are lightly fluted with a slight twist creating a near diamond effect and the stems are made using an ancient technique. Excellent wedding or special occasion gift. Measures 3.0" Dia x 11.0" H. Each piece OOAK. Signed.